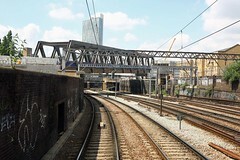 The new bridge over the GEML for the East London Line extension. 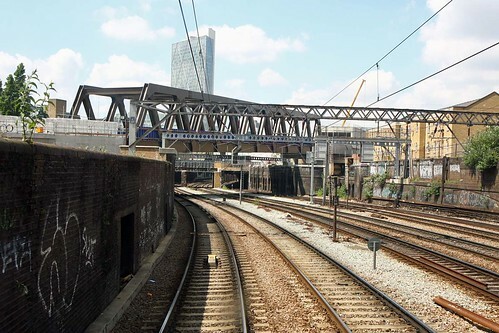 The ELL runs over the former Underground lineas far as Shoreditch then leaps over the GE via this impressive structure and then joins up with the former Broad Street line before carrying on to the North London Line at Dalston. All part of the new 'outer' circle.